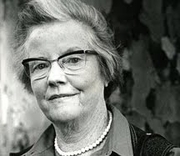 Jane Aiken Hodge was the daughter of Pulitzer Prize-winning American writer Conrad Aiken and his first wife, Jessie McDonald. Jane was three years old when her family moved to Great Britain, settling in Rye, East Sussex where her younger sister, Joan, who would grow up to become a novelist and a children's writer, was born. Their parents divorced in 1929. Jane read English at Oxford University, and in 1938 earned a second degree in English at Radcliffe, her mother's alma mater. She worked a civil servant in the USA for a time, and also worked for Time Magazine, before returning to Great Britain in 1947. Her published works included historical novels, biographies, and contemporary detective novels. In 1972, Jane Hodge renounced her USA citizenship and became a British subject. Jane Aiken Hodge is currently considered a "single author." If one or more works are by a distinct, homonymous authors, go ahead and split the author. Jane Aiken Hodge is composed of 15 names. You can examine and separate out names.